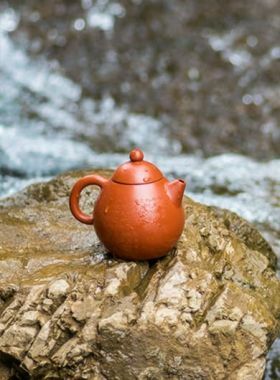 Distinguished from traditional Yixing Zisha teapot, the unique and novel design of Tangyu Yixing Zisha Teapot will definitely impress you when brewing teas with it. 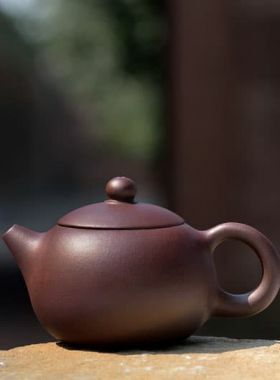 Different from the ordinary design of purple clay teapot, of which the spout, knob and handle are in one line, this Handmade Tangyu Yixing Zisha Teapot is similar with Yushang teapot, which was used for boiling tea in ancient times, for the handle and the spout form a 90-degree angle. Especially, the spout, handle and knob on the lid are made of Jiaoni, which require great skills for the craftsman to accomplish. The finished Tangyu teapot looks fine and exquisite with wood grain, which makes the teapot more distinctive. 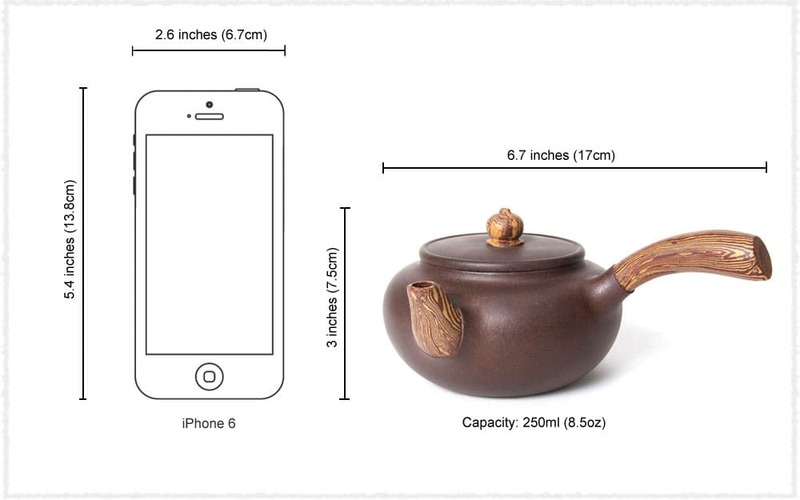 Placed on the table, the Tangyu Yiing Zisha Teapot can also bring your home ancient Chinese atmosphere. Jiaoni is clays of different colors blended together, knead and press them by hand, but not mixing them to the extent that they lose their individual identities. Therefore, natural patterns and textures will be formed, such as wood grain, water ripples or even butterfly-like pattern. The process of making Jiaoni requires great craftsmanship. Decorated with these elegant and particular patterns, the appearance of the purple clay teapot becomes more diverse and distinctive. What’s more, these patterns also increase the artistic and ornamental value of the teapot. Born in “the Pottery Capital of China” – Yixing County in 1965, Zhou Faqing is a certificated national grade craftsman. He is also a member of China Association of Arts & Crafts, member of arts and crafts society of Jiangsu Province and member of Folk Collection and Research Society of Jiangsu Province. 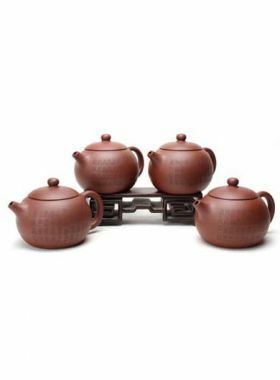 Zhou has unique expertise on the style and design of zisha teapot, he usually seeks inspiration from the broad and profound Chinese culture, and therefore, his works are filled with a sense of history and can bring out the charm of quaintness and simplicity. Optimally selected from Zhisha clay mined in Huanglong Mountains, Tiexing clay appears in eggplant color and has been regarded as the superior material for making purple clay teapot. The teapot made of this clay has a distinctive double pore surface with many tiny molten globules on it for its fine viscosity property. These many microscopic holes allow the tea to breathe and help bring out the fragrance, color and taste of the original tea leaf. 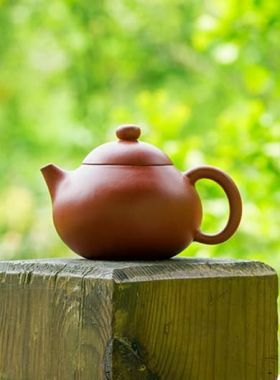 So, Tiexing clay teapot is very suitable for brewing Oolong tea and Pu-erh tea.